Professor Heather Lovell's research is about processes of policy and technology innovation. She is interested in understanding the learning that takes place from policy and technology experiments, and how and why knowledge travels. As a social scientist researching innovation Professor Lovell explores how and why change takes place at a particular time, in a particular place. Drawing on theories of policy and technology change from across a number of disciplines, Professor Lovell's research has mostly concentrated on innovation in response to the problem of climate change. Professor Lovell's research is summarised in a single-author book published by Routledge (2015) 'The Making of Low Carbon Economies'. Since starting at UTAS in early 2015 Heather has developed a number of research projects around the themes of energy and environmental technology. Professor Lovell was awarded funding by the ARC to research the changes underway in the Australian utility sector enabled by new digital technologies and capabilities – often referred to as 'smart grids'. Heather, who hails from the UK, has come to UTAS to investigate how smart grids have been understood and implemented in Australia. Smart grid technology can enable better management of services in times of peak demand, and this can remove the need for new infrastructure investment. The concept of a smart grid has most commonly been applied to the electricity sector – as is the case in Australia - although as part of the Future Fellowship Professor Lovell is studying its application to other sectors such as water and gas. With her background in the discipline of Human Geography, Professor Lovell is particularly keen to better understand the geographies of experimentation and learning. Her research is investigating the impact of key Australian smart grid trials and programmes on policy and practice – including the Federal Government's $100 million-dollar Smart Grid Smart City project (2010-14) and the Victorian government's mandatory smart meter programme (2009-13). Exploring this rich politics of innovation and learning is exactly what the Future Fellowship is about. Better understanding of such issues informs both the theory and practice of policy innovation. With a number of important regulatory and policy changes underway in the electricity sector in Australia - coupled with growing concern about consumers leaving the grid to embrace other power-generating technologies such as solar power and battery storage – Australia is one of the leading countries internationally with regard to digitally-enabled utility innovation, and hence a great place to conduct the research. Note that Professor Lovell's ARC Future Fellowship is on hold currently, for 12 months, resuming in March 2019. For further information on the research see the Smart Grids Messy Society project website. Professor Heather Lovell is Interdisciplinary Research Lead and Associate Head-Research in the School of Technology, Environments and Design (2018-19). She researches processes of policy and technology change, and currently has current research projects on the topics of smart grids, energy storage and institutional memory. Professor Lovell completed her PhD at Cambridge University (UK) in 2005. Before joining the University of Tasmania in early 2015. Heather was a Reader (Associate Professor) at Edinburgh University in the UK. She previously held posts at Durham and Oxford Universities in the UK, as well as a Research Fellowship in UK Parliament. Prior to commencing her PhD she worked in environmental consultancy. Heather is not teaching in her current role. Her prior experience is with postgraduate (Masters) teaching. At Edinburgh University she ran and taught a postgraduate course The Human Dimensions of Environmental Change and Sustainability which attracted around fifty students per year from across the University (Engineering, Social and Political Science, GeoSciences). Invited keynote speaker at Australasian Housing Researchers Conference, Hobart, Australia, February 2015. Invited by ClimateXChange to lead a study for the Scottish Government on Energy Productivity, 2014. Invited keynote speaker at a seminar on Energy Vulnerability Conditions and Pathways: Towards a Research and Policy Agenda, jointly organised by the Energy Geographies Working Group of the Royal Geographical Society - Institute of British Geographers, and the International Energy Vulnerability Network, Manchester, UK, May 2013. Invited Workshop Discussant at an international workshop Getting to Zero: International Perspectives on Low Carbon Housing, Manchester, UK, February, 2013. Invited Keynote speaker, University of Birmingham Seminar on Household Energy Consumption, Technology and Efficiency, Birmingham, UK, June 2012. Invited Keynote speaker, British Sociological Association Seminar on Climate Change, Southampton, UK, March 2012. Invited speaker for Our Changing World public lecture, Edinburgh University, October 2012. Panel invitations: Swedish Research Council Climate Change Panel (2014), Czech Foundation Panel (2012,2014, 2017), and ESRC-AHRC International Benchmark Review of Human Geography (2012; one of 20 UK environment-society academics consulted), ESRC Collaborative Governmental Studentship Panel (2009). Heather's research aligns to the University's research themes of Environment, Resources and Sustainability and Data, Knowledge and Decisions. Her research interests include the processes and politics of policy and technology innovation, the geographies of policy experimentation and learning, standards as sites of innovation and institutional memory. Interdisciplinary work drawing together different strands of academic scholarship - geography, political science, sociology, science and technology studies, computer science and public administration - is a key feature of her research. She has undertaken empirical studies across a number of different topics related to climate change, infrastructure and utilities, including: low energy housing, carbon markets and carbon accounting, district heating, household energy monitoring, environmental sensor technologies, and smart grids. Heather's current main research project (an ARC Future Fellowship 'Smart Grids Messy Society') is on hold for a year whilst she undertakes a research leadership role in the School of Technology, Environments and Design. It will resume in March 2019. Active research projects include one funded by the Australian Renewable Energy Agency (ARENA) on PV and battery storage, and a second project funded by the Australian and New Zealand School of Government (ANZSOG). The $2.9M ARENA project (2016-19) is an interdisciplinary project called 'CONSORT' with engineers, computer scientist and economists from ANU and University of Sydney, as well as two industry partners - Reposit Power and TasNetworks. The CONSORT project has been funded by ARENA to research use of battery storage by households on Bruny Island, Tasmania. The University of Tasmania is leading the social science research of CONSORT, researching the thirty households involved in the study through a combination of focus groups, longitudinal interviews (x3), and energy diaries. Heather is also a Co-Investigator in a political science project called 'Remembering how to lead', funded by ANZSOG ($64,842; 2015-18), and led by Dr Dennis Grube, a political scientist at the University of Cambridge. The project is about the institutional memory of 'leadership learnings' in the governance of policies and programmes with significant public-private partnerships. Heather has significant collaborations with the UK, where she studied and worked until recently, in particular with Edinburgh University (School of GeoSciences, School of Informatics and School of Social and Political Sciences), and St Andrews University (School of Management). In the period 2005-15 she had several UK grants with a total value of £3.75 million (AUS$6.3 million). These involved a range of academic, government and industry partners including: the University of Durham, the UK Tyndall Centre, Edinburgh City Council, the Joseph Rowntree Foundation, the International Emissions Trading Association, and the Association of Certified Chartered Accountants. Through her current projects Heather is involved in research collaborations with TasNetworks (ARC Future Fellowship, CONSORT project, Consultancy), Peking University, the National Australia Bank and the Climate Disclosure Standards Board (Sense-T project), and Griffith University and the New Zealand government (ANZSOG project). 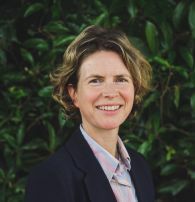 2016-19 Consumer Energy Systems Providing Cost-Effective Grid Support (CONSORT), Australian Renewable Energy Agency (ARENA) (Co-Investigator & Social Science Project Lead, led by Prof Sylvie Thiebaux, ANU); $2,895,951. 2015-18 Australian and New Zealand School of Government (ANZOG) 'Remembering how to lead': Building Institutional Memory of 'Leadership Learnings' in Collaborative Governance Environments, led by Dr Grube at the University of Cambridge, UK; $64,842. Heather's field of research is about understanding the processes of policy and technology change, with a particular focus on energy and environmental issues. She has published extensively on sociotechnical transitions, and environmental governance and markets. Heather's published work has significant interdisciplinary reach, spanning the fields of Science and Technology Studies, public policy studies, accounting, sociology, and human geography. She has published in journals such as Progress in Human Geography (2018), Transactions of the Institute of British Geographers (2013), Economy and Society (2013), Technology Analysis and Strategic Management (2008) and Accounting, Auditing and Accountability (2011). Heather has brought together a number of strands of her research in a book published by Routledge The making of low carbon economies (2015). Since moving to Australia in 2015 Professor Lovell has worked on seven new projects covering the topics of smart grids (ARC, ARENA, TasNetworks), environmental technologies and markets (Sense T, UTAS Cross-Discplinary Incentive Grant) and leadership in government (ANZSOG). They are linked by a common conceptual interest in understanding processes of innovation and change. Since completing her PhD in 2005 Heather has lead or co-lead 14 research project grants with a total value of $8.03 million ($AUS). 2013-17, UK Engineering and Physical Sciences Research Council (EPSRC), IDEAL: Intelligent Domestic Energy Advice Loop. £1.9M (Co-Investigator and Director of Work Package Two - Data Acquisition). 2013-17, EPSRC, TEDDINET: Transforming Energy Demand through Digital Innovation Network project. £0.5M (Co-Investigator and Director of Work Package - Communications). 2008-2011, Interdisciplinary Cluster on Energy Systems, Equity and Vulnerability (InCluESEV) Research Councils UK Energy Programme; Convenor (2008-2009) of Carbon Capture and Storage Work Package; £0.55M. 2008-13 (part-time) New Career Development Fellowship UK Nuffield Foundation, Fungible Carbon New Career Development Fellowship. £166,553. (Principal Investigator, with Professor Donald MacKenzie). This Fellowship was one of only three awarded in the UK in 2009, across all social science disciplines. 2005-2007, ESRC Postdoctoral Fellowship Policies for Emerging Socio-Technical Systems: the case of low energy housing in the UK (with Professor Susan Smith, University of Durham); £56,000. The project explores the role of householders in energy transitions, and ever increasing pressures of energy affordability in household economics. This project will set up the feasibility of an investigation into the impact on basic household economics and decision making of the cessation of generous Feed-in-Tariffs (FiT) for electricity generated from residential solar photovoltaics. The investigation will help us understand the future of energy generation and consumption in Australia. Review of tariff trial approach, sample size and overall trial method robustness (Phase One). 1. A review of the 600 household sample size, including discussion of its main opportunities/advantages and limitations. 2. A brief review of up to 10 other publically available tariff trials in Australia, including gathering data on sample size, location, and other key methodological characteristics. This is to benchmark the proposed Tasmania tariff trial, providing comparison of the sample size and experimental design against other similar trials completed within the Australian electricity market. 3. Methodological review of the experimental design. 4. Highlighting of any significant problems with the experimental design (show stoppers) in the methodological review. 5. Suggestion of modifications that could be made to the experimental design to ensure robustness, and of any further activities or approaches that will encourage robustness. This consultancy involves advising on the research approach being only. We are not involved in data collection or analysis. Our project will use several research techniques and interdisciplinary perspectives to track and document the detail of how FermenTasmania (FT) emerged and has diffused, both as an overall concept and as a set of new fermentation business ideas and practices in a supply chain. FT - as a distinctive new idea - provides a rare opportunity to research in real-time the detail of how innovations initiate, coalesce and develop during their early stages. To explore this topic we will utilitise the full breadth of our teams interdisciplinary expertise in wine science and transdisciplinary research (Carew - TIA), horizontal business networks in the wine industry (Lewis Business), processes of policy and technology change (Lovell Social Sciences) and quantitative analysis of logistics, supply chains, data and information flows (Turner/Mirowski Engineering & ICT). This project will provide an important opportunity to develop and fine-tune our interdisciplinary collaboration and application of methods, including discourse analysis, science and technology studies ethnographies, social media network mapping, and interaction mapping. It is a technical project led by computer scientists and engineers, working with industry to develop better ways of managing renewable energy generation and battery storage on electricity grid. I am providing social science input, working with householders on Bruny Island. This project seeks to understand how leaders involved in collaborative inter-jurisdictional policy environments draw from and pass on institutional memory. New information technologies allow utility infrastructures to operate as smart grids, with the promise of multiple economic and environmental benefits. Utility infrastructures are largely unaltered since first installed 100 years ago, and smart grids have the potential to catalyse significant innovation. The two main aims of the research are: 1) to investigate the societal drivers for, and implications of, smart grids; 2) to assess how smart grid implementation varies from place to place, and the implications of this for theories and practices of innovation and learning. The research will provide new insights about the messy, complex societal reaction to smart grids in Australia; a country at the forefront of smart grid implementation. -Mallika Naguran is working on energy transitions and fiction, researching the role of book groups and co-supervised by Dr Robert Clarke and Dr Hannah Stark (English). Please get in touch if you have an interest in pursuing a PhD on a topic related to my research interests.